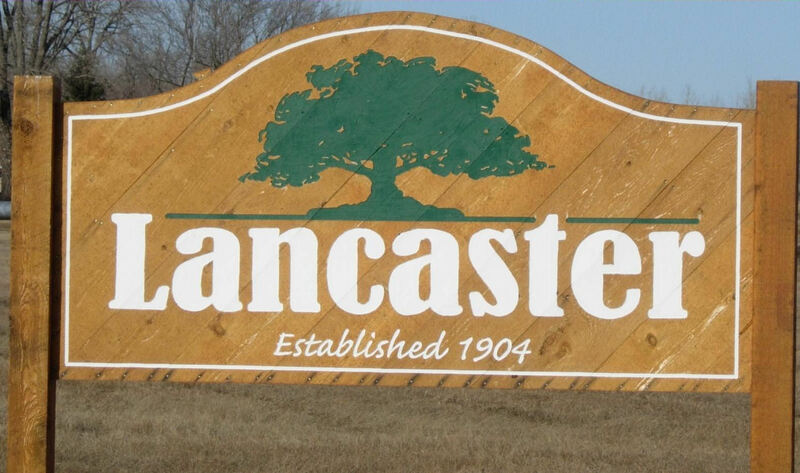 The Lancaster City Council met for its Regular Meeting on Wednesday, December 13, 2017, at 7:00 p.m. in the City Hall Meeting Room. The following members were present: Olson; Sebenaler, Bowlin and Hilman. Nordin was absent. Bowlin moved to approve the Council minutes of the November 8, 2017 regular meeting second by Hilman and carried. A copy of the Minutes will be posted at the Lancaster City Hall and U.S. Post Office and available upon request to the clerk. The council reviewed the December 2017 bills presented this night; any other bills that have been paid prior to this meeting to avoid late payments, receive discounts & meet payroll and all payroll expenses as approved in the 2017 Rates Fees & Appointments Schedule. Hilman moved to approve the bills, second by Sebenaler and carried unanimously. An abstract of bills will be posted with the minutes and are available upon request to the clerk. Bowlin moved to accept the 2017 Council per diems and Fire Chief Salary of $500/year for payment, second by Hilman and carried. Mayor set the Liquor Store inventory for January 1, 2018 at 1:00PM. Council reviewed the proposed updated Repeal of Regulation of Building Permits Ordinance and also the Ordinance No. 1 that adopts the Minnesota Livable City Code along with the old ordinances that would be upheld when the Livable City Code was adopted. Bowlin moved to post notice of the discussion and proposed approval of the revised Repeal of Regulation of Building Permits Ordinance and also the Ordinance No. 1 that adopts the Minnesota Livable City Code at the next council meeting, January 10, 2017 at 7:15PM, second by Sebenaler and carried. Sebenaler moved to issue a 2018 3.2 off-sale liquor license to Bernstrom Oil Company and allow clerk and mayor to sign documents, second by Hilman and carried. Kittson County Administrator informed clerk that Minnesota legislature is requiring that cities designate a polling place for the next year prior to current year end. Hilman moved to accept Resolution 2017-1 designating the Kittson County Courthouse as the polling place for 2018, second by Sebenaler and carried. Clerk reported that Fire Chief, Casey Faken, has submitted an application for a new Fireman, Clifford J. Peterson. Mayor reports that all paperwork and background check is in order. Sebenaler moved to accept Clifford J. Peterson as fireman effective as of this meeting, second by Bowlin and carried. Council also reviewed Council reviewed the November 2017 City and Liquor Store financial information. Council discussed sidewalk snow removal and reaffirmed that each business and land owner is responsible for their own snow removal on sidewalks on their property. Mayor Olson brought up the suggestion that the city purchase a snow pusher for the front of the payloader to help with snow removal. Zondagh had a quick estimate of the cost at of a 12’ pusher at not more than $4,500.00. Hilman moved to purchase the snow pusher with an amount not to exceed $4,500.00, second by Sebenaler and carried. Council discussed the new seasonal reduction of port hours. The Minnesota Congressional Delegation has made a request that Customs and Border Protection to implement a Virtual Interview Process(VIP) at the Lancaster and Roseau Ports of Entry and that no changes to the hours be implemented until the VIP request is considered. Bowling moved to support the Virtual Interview Process request and directs that a letter to be sent supporting this request to Customs and Border Protection, second by Sebenaler and carried.